Harness, the industry’s first Continuous Delivery-as-a-Service platform, announced the appointment of Jason Eubanks as the company’s first Chief Revenue Officer. Jason will be responsible for leading the company’s sales function. Harness has experienced incredible growth since the launch of its product early this year, making it one of the fastest growing software companies at its stage, and Jason’s experience scaling high-growth companies will further accelerate its sales expansion. Jason has spent 19 years building and leading go-to-market teams for disruptive companies like Markforged, Twilio, and Meraki/Cisco, and held sales and pre-sales leadership roles at BMC Software and CA Technologies. Harness was started and launched by Jyoti Bansal’s BIG Labs, and is backed by top-tier venture capital firm Menlo Ventures; customers include NCR, Soulcycle, Jobvite, Build.com, McAfee, and New York Life. “The Harness team has accomplished more in nine months than most startups achieve in their first three years of selling. It’s a testament to the visionary product created by co-founders Jyoti Bansal and Rishi Singh, and the tremendous need among resource-strapped software engineering teams for an easy-to-use, automated Continuous Delivery-as-a-service platform,” Jason said. Prior to joining Harness, Jason was Chief Revenue Officer at Markforged, the industry-leading 3D printer manufacturing company, where he led the company’s worldwide sales, marketing, and business operations effort — scaling the company from 71 employees to over 200 and growing bookings 400% in the process. Prior to Markforged, Jason was the Global Vice President of Sales, Services and Alliances at Twilio, the world’s leading developer platform for software embedded communications. Jason helped Twilio through explosive growth and a multi-billion dollar IPO. Before Twilio, Jason ran Worldwide Field Sales at Meraki, which was acquired by Cisco for $1.2 billion in 2012. “I was fortunate to see explosive growth at my previous company AppDynamics, but what we are seeing at Harness surpasses even that,” said Jyoti Bansal, Harness’ co-founder & CEO. Harness’ mission is to make the practice of continuous delivery accessible to every business, empowering engineering teams to move fast and ship code without the fear of failed deployments. With its Smart Automation technology, Harness provides the first-ever solution to automate the entire continuous delivery process. By applying unsupervised machine learning to the process — a new technology called Continuous Verification — the platform understands an application’s baseline environment and can initiate automatic rollbacks when irregular activity is detected, avoiding application downtime or widespread failures. To date, Harness has reduced deployment time from many weeks to a few hours and has reduced errors by nearly 99 percent. The company has rapidly acquired a great roster of customers such as Build.com, Jobvite, and Soulcycle, and also many Fortune 500 companies such as NCR, McAfee, and New York Life. Employee growth has surpassed 300% in 2018. The company earned a “Gartner Cool Vendor in DevOps 2018” recognition in month #4 of selling. The company won Barclay 2018 Open Innovation Challenge, beating out many other later-stage startups. Harness opened up a second engineering and R&D facility in Bangalore, India. 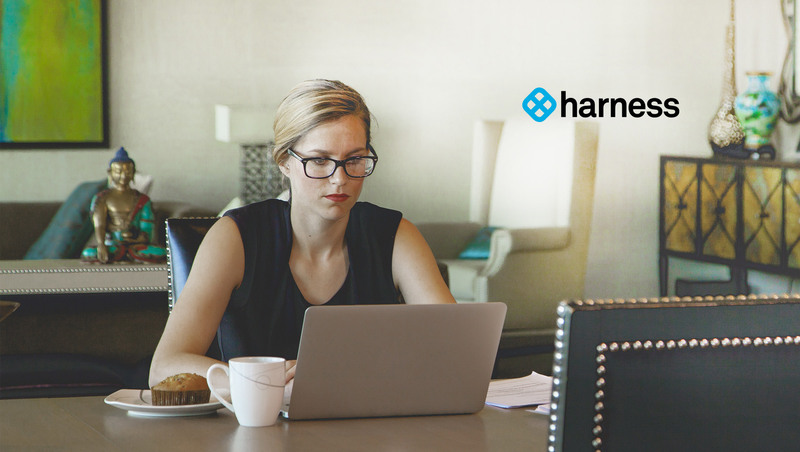 Currently based in San Francisco, Harness is the industry’s first Continuous Delivery-as-a-Service platform designed to provide a simple, safe and secure way for engineering and DevOps teams to release applications into production. Harness uses machine learning to detect the quality of deployments and automatically roll back failed ones, saving time and reducing the need for custom scripting and manual oversight.